The Beaumont family is a classically designed collection. It features a large scalloped hood and wide water glass cage. It is an elegant first impression to your home. This collection is beautifully finished in Fruitwood and complimented by Amber Water Glass. Thyme, 21" Downward Wall Mount: A welcoming and timeless light fixture to brighten the entrance to your home, this antique rust finished wall lantern is designed to be durable and charming. Classic design inspired by castles, quests and ageless beauty. Detailed features include seeded glass for softened diffused light and cast aluminum construction to withstand the elements. The Designer Collection supplied by CLI is both modern and stylish, all while maintaining the ability to fuse together many different genres. This collection finds itself at home in many of today's popular design schemes. Whether you're looking for lamps, wall-lighting, pendants, or novelty lamps, the Designer Collection offers a lighting solution that is sure to satisfy any of your lighting needs. 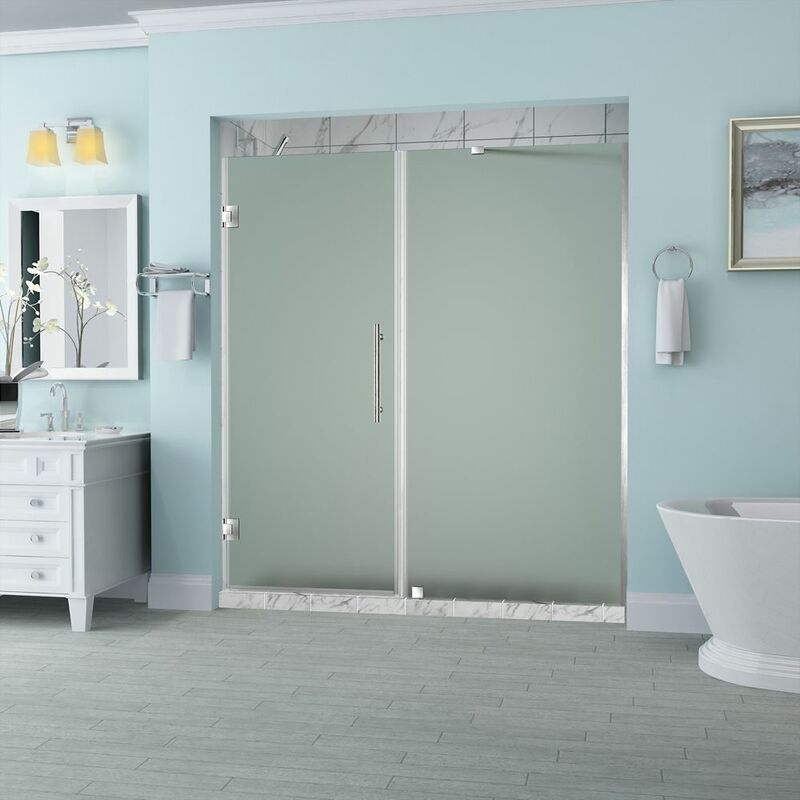 Belmore 75.25 - 76.25 x 72 inch Frameless Hinged Shower Door with Frosted Glass in Stainless Steel The Belmore Frameless Hinged Shower Door provides universal sophistication and quality craftsmanship to your bathroom's decor. Available in a vast array of sizes, the Belmore is designed to meet the solution of uneven walls with its inline wall channel providing up to 1 inch out-of-plumb adjustment. The Belmore comes ready to install and will breathe new life into your existing bathroom's interior. Its premium frosted 3/8 inch tempered safety glass; tested and certified to ANSI Z97.1 Standard, hardware constructed of durable stainless steel and leak-seal edge strips makes the Belmore a smart, stylish solution to your existing alcove. Shower base not available. Images are for representation only. Once installed, glass may differ slightly than shown in image due to the nature of light absorption and reflection from your own bathroom's colour, design or decor palette. This is normal and should be expected in certain scenarios due to the glass's natural composition.